"Thank you so much! Beautiful knife. Platypus is very cute!" "This made for a great Christmas present. The quality is fantastic and the wrapping was simple yet elegant." "Beautiful craftsmanship! Very high quality and well designed. Will definitely shop here again." "This is really adorable and well made! A+ seller!" "Cute as can be! This will be the perfect gift." "Lovely, just need a chain now!" "Thank you very much :)"
"This little guy has fantastic detail and weight. Best of all, he made it for Christmas! Thank you." "Article qui a beaucoup plu à la personne à qui je l'ai offert. Envoyé rapidement mais prévoyez quand même un peu de temps pour la livraison en France !" "Absolutely beautiful and well packaged and shipped ASAP! Recommended seller!" "This was a gift for a friend and she loved it! Seller was responsive to questions and very helpful when there was a shipping hiccup." "Very happy with the Koala opener. Very nice. Shop answers questions fast and it shipped timely. Took two weeks to get to eastern USA, on exact date that was predicted. Will order from shop again. Very happy with purchase!" 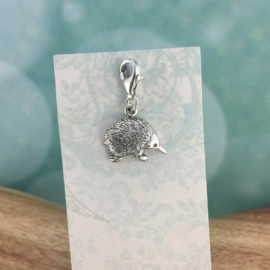 "Very cute, and fast shipping. Thankyou!" "Very beautiful, perfect for a gift"
"Wonderful product and service. I love the packaging that came with this keyring so I can make this a special gift! Postage was very fast as well - many thanks!" "Way smaller than anticipated but beautifully made. Even though it's small, you can see every one of the tiny faces on the animals. Delightful!!! Nicely packaged, too. Many thanks!" "The platypus keychain is SO nice. It's so well done, and the perfect size. Thank you for the gift box and bag, and thank you for this little piece of art! Also, I had a question about the shipping timeline while I was waiting, and the shop answered my question right away. Thanks!" "So happy with my order. Beautiful keychains." "So happy with my purchase. Beautiful keychains." "Beautyful. It will be a christmas present for my daughter, I'm shure, she will love it too. Thank you for shipping in time"
"Great detail, shipped international and it still made it fairly quickly. Absolutely love it!" "Arrived quickly, and better than the real thing - this one won't stick you with a poison spike while you're trying to spread pâté, or secrete milk onto your membrillo." "Absolutely beautiful little tea light holder. Solid piece, with Aussie animals around the sides. Perfect gift or to use yourself. Easy ordering, prompt delivery. Would definitely recommend item." "Very cute and good quality. Thankyou"
"nice, as per what I ordered"
"Lovely, very detailed, fast shipping, thanks"
"Perfect - thank you so much!" "Gorgeous charm. Very happy. Prompt delivery"
"Absolutely beautiful and excellent quality. This is the perfect gift"
"Beautiful necklace - thanks so much!" "This is our second spoon - quality is excellent and the design unique"
"Really nice and great quality! Beautful design and very well made. It arrived safely and without any problem." "Wonderful - thank you so much!" "Even more beautiful in person. Quick shipping. Thanks so much!" "I'm a huge bird lover so I had to buy this when I saw it. It arrived quickly with beautiful packaging, I'm still keeping mine in the pouch it came in for the time being. Highly detailed, with excellent craftsmanship." 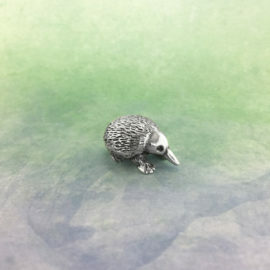 "Very beautifully detailed crafted Kookaburra. Looks exceptional! Absolutely adore." "High craftsmanship. Very detailed work. Absolutely love it. Can't take my eye from it." "Just perfect ! Excellent service will definitely order again. I purchased the Australia and kangaroo keychain and a little figurine - great gifts and also Aussie made ! Thank you !!!!!" "it was delicate and cute"
"Absolutely gorgeous, very well made. Good to know things can be made in Australia still." "These earrings are so beautiful and well-made. Fast delivery and great service. Highly recommend this seller!" "I bought this for my daughter and she absolutely loves it. The attention to detail is stunning." "My wife loved the detail in the design and the fact that is was Australian designed and made. I'll certainly be buying more"
"The quality of the casting is stunning I couldn't be happier. Would recommend to anyone!" Uniquely beautiful bottle stop featuring the native Australian echidna. 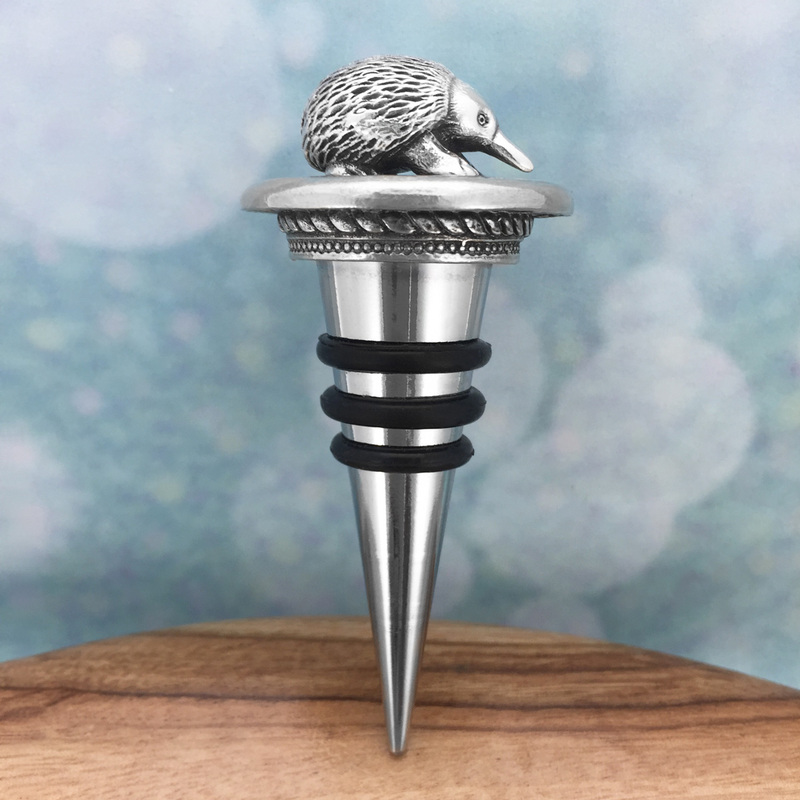 Intricately detailed and made in Australia out of the finest lead-and-nickel-free pewter. Height: 8.5cm. All payments are securely processed via PayPal or Stripe using the latest encryption technology. No credit card details go through our site. All details are submitted directly to PayPal or Stripe servers. 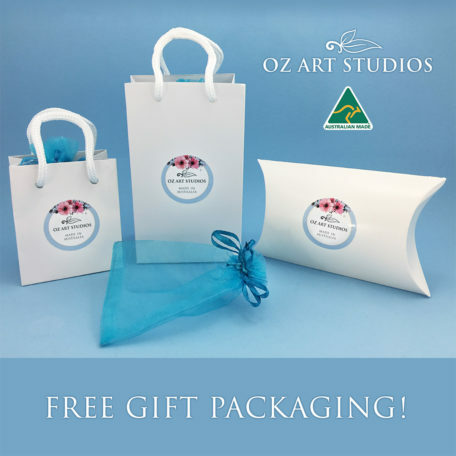 $3.80 flat rate standard delivery within Australia. Express and signature upgrade options available. Orders are shipped within 2 business days.